How to present your business idea and leave a memorable impression? As STARTER programme teams are soon going to pitch their ideas at Kaleidoskoop, it’s time to learn the fundamentals of an awesome pitch! 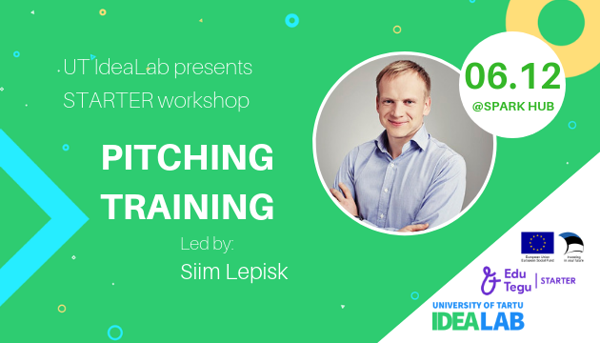 The workshop is led by Siim Lepisk! He is an Innovation Manager at SEB Bank. Combining my 15+ years of management and leadership experience in business-critical software development, digital marketing, corporate innovation, entrepreneurship, angel investments, and building startup ecosystems, I help companies to change their culture and bring their products and services faster to market. This workshop is a preparation for a business ideas competition Kaleidoskoop!